Holidays are for celebrating and are meant to be enjoyed, but you don’t have to sacrifice your health every time you attend a BBQ. These 6 BBQ survival tips can save you hundreds of calories you won’t even miss, and keep your health and fitness goals on track. Research clearly shows that people who choose smaller plates and utensils eat less without even noticing it. The difference can be as substantial as 50% fewer calories consumed, yet everyone reports the same level of fullness and satisfaction. Try borrowing a plate from the kids table or the dessert tray. People who eat more slowly eat fewer calories over the course of a meal. 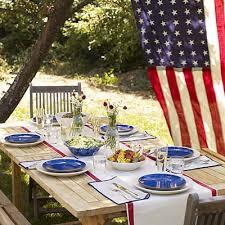 BBQs are a perfect opportunity to pace yourself as you mix and mingle with friends and family. The more you’re chatting, the less you’re eating. If you are eating slowly and off small plates, you may as well fill up on the healthiest stuff first. Salads are a great place to start because watery vegetables slow digestion and have very few calories. Try to choose something with oil and protein as well, because these will help you feel full sooner. Refined carbohydrates are the worst things you can eat because they offer little satisfaction, loads of calories and dangerous insulin spikes. BBQs are filled with wonderful food, so do yourself a favor and save your calories for the really good stuff. You don’t have to eat your burger without a bun, but pass on the pointless chips and other snacks that lure you when you’re not thinking. If you’re feeling bored, grab a Frisbee instead. The difference between a large slice of cake and a smaller slice of cake can literally be hundreds of calories. And to reiterate, sugar and refined carbohydrates are the most dangerous foods. You don’t have to pass on dessert completely, but keep your portion sizes in check for this course. There is a place for alcohol in a healthy lifestyle, but making smart choices can be the difference between losing or gaining weight (not to mention your self-control). One sugary margarita can have 600-800 calories. That means 3 margaritas is more food than you should be consuming in an entire day. Is that really worth it? Stick with wine or beer, drink plenty of water and remember to pace yourself.